This summer the jungle is in town! An exuberant vegetation, colourful animals escape from the Jungle book. If you have seen pineapple, parrots or palm trees, it is not an illusion. So many wild pattern which are going to awake our decoration. 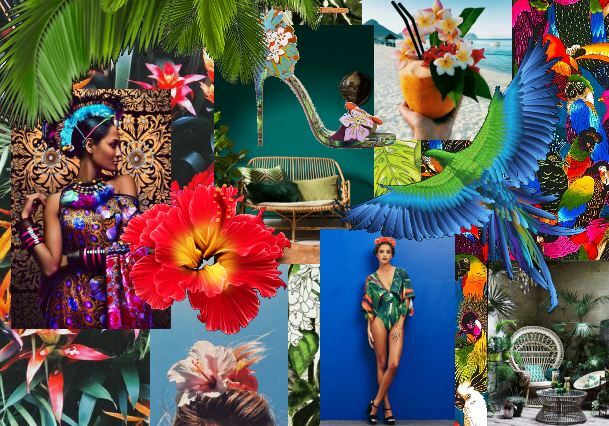 Totally inspired by the rain forest and its exotic flowers, the tropical tendency inhales escape and holidays. Natural materials and greenery will radically transform your interiors. 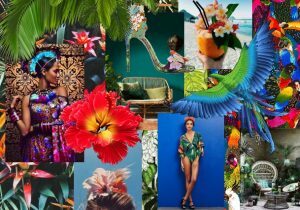 The exotic vibration is everywhere, invest the decoration and create a refreshing tropical style. What we love with this tendance is that you can mix patterns & colours and create a real atmosphere. If you disagree with the fact that the jungle overrun your living-room you can just accesorize your interior by playing with few cushions, candles or carpets. These hints of colour will light up your decoration and give a natural spirit. 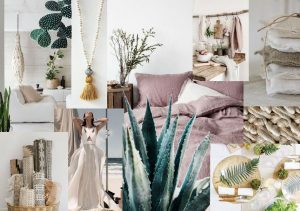 At Dune #wearedecoration and love the warm tropical spirit. Neutral colours is the new best way to make your interior feel bright and spacious. Neutral background offer the possibility to make more visible the colourful elements you love and to create a well-designed space. For an all-neutral look choose colours that are harmonious and a lighter shade for walls and backgrounds. The decoration with neutral colours are smoothing, quiet, restful, intemporal and very elegant. To achieve the relaxing atmosphere you are looking for mix natural materials. For example, to warm a room’s atmosphere, combine real wood, braided wicker, wool or velvet. Always matching with neutral colours, these materials are the most used to create a comfortable decoration where you feel good. At Dune we agree to say that with a neutral colours decoration, you interiors will cross the times and will help you to create a classic and friendly atmosphere in the biggest simplicity. The pink gold nuance won in popularity in the field of design and fashion during the last years and was widely highlighted in high-end objects. Contrary to the public opinion, the pink gold does not have the “too much” effect often associated with metals. The pink tone softens immediately the metal which brings this chic side. The main use of the pink gold is that it can complete any decoration and harmonise with all the wooden style and all other metallic elements. 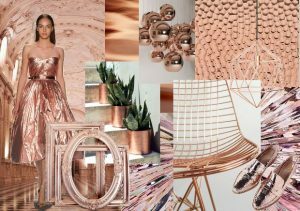 Pink gold or copper accessories are really the jewels of your inside. When using in decoration those metallic elements are considering as finish elements and give to the room a luxury impression. Pink gold more that a trendy style, a timeless decoration.